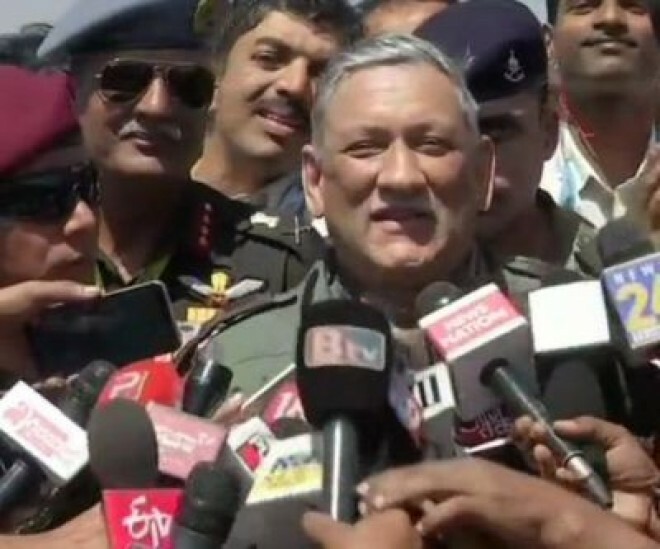 New Delhi, Feb 21: Chief of the Army Staff General Bipin Rawat after flying the indigenous combat jet Tejas: "Flight in LCA Tejas was an experience of a lifetime. From what I could witness, avionics are very good, it's targeting is very good. It's a wonderful aircraft if it gets added to inventory it will increase our air power." The LCA Tejas got a special passenger today at the Aero India air show being held on the outskirts of Bengaluru. Sitting behind the pilot in a two-seater trainer variant of the Light Combat Aircraft Tejas was Army chief General Bipin Rawat, who was taken for a spin in the nimble fighter jet in the skies above Yelahanka Air Force Station. This was the first time General Rawat flew in the home-made fighter jet, known for its agility, being the smallest and lightest multirole supersonic fighter jet in its class.